Bitzios Consulting was originally commissioned by Newcastle City Council to develop a traffic micro-simulation model (in Paramics) for the Newcastle City Centre to assist in the evaluation of traffic and transport infrastructure requirements to support the future development of Newcastle. 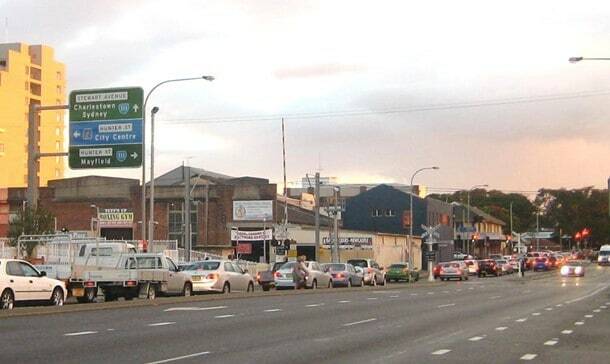 We identified that the 20-year traffic demand forecasts were too large to be catered for by a reasonable CBD traffic network and the study shifted its emphasis to considering multi-modal solutions; including the termination of the heavy rail line at Wickham and the creation of a supporting light rail and/or bus network to/from this terminus. Multiple options were then modelled to determine the impacts and needs of this future public transport scenarios in terms of traffic infrastructure requirements. Bitzios Consulting is committed to providing expertise in the field of traffic engineering and transport planning, which consistently meets client expectations, while abiding by all regulatory and legislative requirements, and the requirements of the AS/NZS ISO 9001:2008 standard.